Montagu is a small town in the Little Karoo . It is situated half way between Cape Town and Oudtshoorn on what has become known as route 62. When one travels from Cape Town the route goes through Worcester, Robertson, Ashton and then onto Montagu through the beautiful Cogman's Kloof pass. The route from Cape Town winds its way through beautiful farmlands and vineyards. It is a virtual wine route all the way to Montagu. Montagu nestles in the western corner of Kannaland and is one of the best preserved Victorian agricultural villages in South Africa. 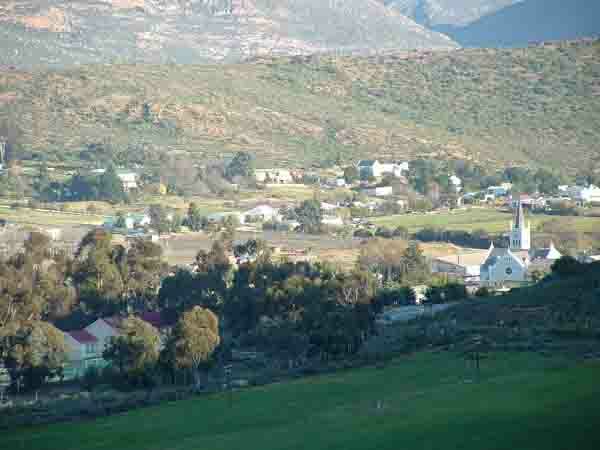 The town was established in 1851 on the farm Uitvlucht when a number of plots were sold and the Dutch Reformed Church was established. The village was named after John Montagu, the then Colonial Secretary of the Cape. Colonists from the Wagenmakers vallei near Wellington bought up most of the plots and started building houses in the town. They had the onerous job of lugging materials from Welllington over the Bainskloof pass to Montagu by ox wagon. 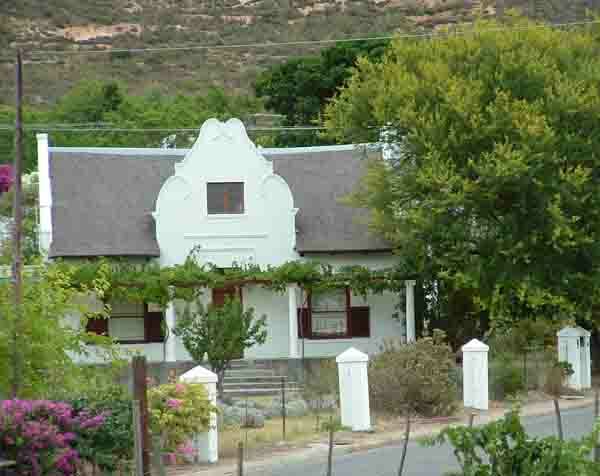 Many of the houses were built in the Cape Dutch style and have thatch roofs. The oldest house in the town was built in 1853 and was restored to its former glory in 1983. It now forms part of the local museum. The town is built between the Kingna and Keisie rivers which join to the west of the town and then flow through the Cogman's kloof. In the older days of the town there were no roads and the locals had to drive through the kloof with their ox wagons and cross the river about eight times before they reached Ashton. Montagu became famous for its hot spring which was found on the Uitvlucht farm. People came from miles around to dip themselves in its healing waters. Over the years the “baths” as they have become known have changed hands a number of times. Eventually they were taken over by the Municipality of Montagu and a caravan park and campsite was established. In 1981 disaster struck when a flood washed the baths away and took all the soil and vegetation out of the kloof. Since that disaster a brand new Springs Hotel has been built and it attracts many visitors. On the 23rd March 2003 disaster struck again. It started to rain and soon the Cogman's Kloof was flooding. At the peak of the flood 1070 cubic metres of water per second was flowing through the Kloof. To add to the woes of the town the Bellair dam which is built in the Gouritz River and stores 10 million cubic metres of water collapsed releasing the water into the Gouritz river resulting in flooded homes, and the loss of 100 hectares of lucerne and 19 hectares of orchards. Bridges at the entrance to Montagu were also swept away cutting off the town from the outside world. Thankfully there was no loss of life. Of course with every disaster that occurs blame has to be apportioned. In this case it was the owners of the Bellair Dam who were called upon to face the music for the collapse of their dam. What is funny is that the owners of the dam could not be found as the farmers who had originally built the dam had all sold their farms and left the area. The Irrigation Board who had allocated water to the farmers had collapsed when the farmers had sold up. It has been stated that the dam was in good condition before the flood started but when water started flowing over the top it washed away the soil which inevitably lead to the collapse of the wall. In July when we drove through the area there were still signs of the devastation caused by the floods . All the soil in some orchards had been swept away and there were fruit trees hanging onto the sides of what used to be the centre of the orchard. The course of the river was strewn with debris and rocks and all the vegetation was gone. The good news is that the town has been cleaned up and that they are open to receive visitors again. For those who like their sweet red wines try some of Montagu's muscadels when you visit the town. I'll join you if you invite me.